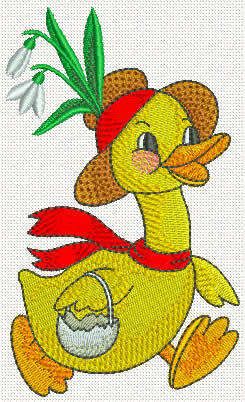 An adorable ducky with flowers machine embroidery design. 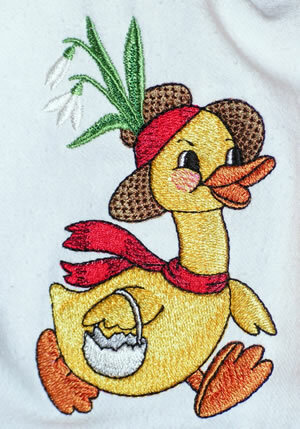 Note: The design is available both separately and in a set with our SKU 10218 Ducky Embroidery Design. If you purchase the SKU 10219 Ducky machine embroidery set you get our special discount of 20% on the price of designs when sold separately.